Are you renovating your window blinds, but can’t seem to find an affordable option? Well don’t worry because now if you’re a DIYer, facility manager, or a decorator, you can now purchase your window treatments online and install them yourself. Moreover, if you are looking to replicate the authentic look of wood, discount faux wood blinds are identical to real wood blinds in almost every way. Not only is authentic wood way more expensive, but authentic wood blinds are also more difficult to maintain, and as a result, may crack, chip, or even develop mold. Although they are discounted, faux wood blinds are #resistant, #easy to clean, #long lasting, #environmentally-friendly and #incredibly durable. Moreover, each and every one of BlindsOnLine.com’s fake wood blinds is made from quality polymers that are meant to protect your product from UV radiation and moisture. To learn more about all of the different discount faux wood blinds that are available from BlindsOnLine.com, visit their website today and type in the promotional code (FOXY) on checkout to receive 10% off of your window treatments. If you would like to find more design ideas for your faux wood blinds, visit https://www.pinterest.com/explore/faux-wood-blinds/today! What Makes Shangri-La Shades So Unique? Have you been looking for a versatile, new window treatment that is both practical and visually appealing? Shangri-La shades, also known as horizontal shades, diffuse natural light and let you modify the atmosphere of any room at your whim. When in placed in a bedroom, these shades allow you to enjoy the light of each sunrise knowing that privacy and shade is completely within your control. 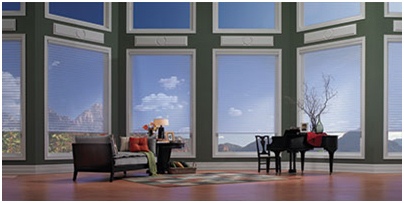 Horizontal shades softly filter natural, outdoor light when open, but can also easily be adjusted to function like drapes or shades because they feature an easy-to-use sliding weight and pulley blind system. Although there are many other window treatments that function much like Shangri-La shades, one singular, distinctive function separates horizontal shades from the rest: they can be raised even when the vanes are still open. 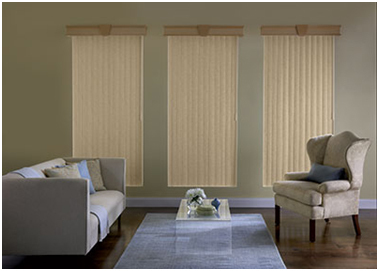 Another reason so many decorators and facility managers use horizontal shades is because they are an elegant addition to any room. This is because these shades come with a head rail and fabric to hide hardware, thereby allowing for an unobstructed view. If you are a DIYer looking for a quick #homeimprovement project that will also improve the way you feel when you wake up, consider the horizontal shades available from BlindsOnLine.com. 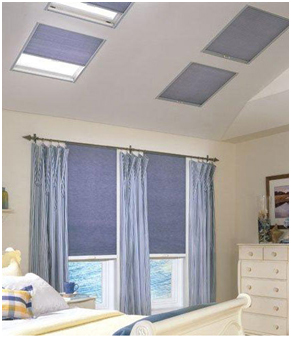 We currently offer 2” light filtering, 3” light filtering, 2” room darkening, and 3” room darkening shades. Create your own unique visual experience and relish in the comfort of each morning simply by installing new Shangri-La shades. Posted on June 12, 2015 June 7, 2017 Categories Window BlindsLeave a comment on What Makes Shangri-La Shades So Unique? Are you planning on remodeling your windows in the near future? If so, then you are probably already familiar with wood cornices. If you are not familiar with what a wood cornice is, a wood cornice is a valance, defined by Miriam-Webster as, “a short piece of cloth or a wooden or a metal frame that I placed across the top of a window for decoration.” But wood cornices have a much greater function than pure aesthetics. Not only do wood cornices hide any unappealing hardware that is sticking out of your windows, but they also function to ensure that you can control the amount of light that enters through the top edge. Moreover, certain wood cornices can also be designed to make a room appear to have a higher ceiling. At BlindsOnLine.com, we offer DIYers our real wood cornices that come in painted or stained and several different finishes. Wood cornices are ideal for decorating windows and can add a touch of organized beauty to any room. To find out more about the benefits of discount wood cornices available from BlindsOnLine.com, visit our website today. We are currently offering 10% off of our wood cornices; just remember to enter the discount code “WOOD6” when checking out!